Guy Elliott has resigned as a member of the UK merger and acquisition regulator the Takeover Panel after being charged with fraud by the US Securities and Exchange Commission. The panel, which oversees of takeovers and mergers of London-listed companies, said he wanted “to focus his attention on legal proceedings related to his former role as chief financial officer at Rio Tinto. 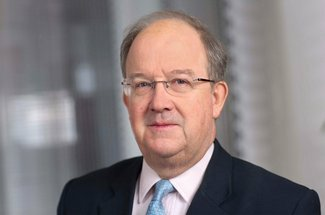 Michael Crane, QC, chairman of the Takeover Panel, said: “Guy has made a contribution of enormous value to the Panel previously as a member and for the last four years as chairman of the Code Committee. On Wednesday, Rio Tinto announced that the SEC had filed a civil complaint of fraud against it regarding the impairment of subsidiary Rio Tinto Coal Mozambique in the mining company's year-end accounts. Elliott has also resigned from his position as non-executive director at Royal Dutch Shell.